LION FORGE ANNOUNCES ARMY OF ONE, AN ALL-NEW SERIES LAUNCHING THIS FALL! ST. LOUIS, MO–Lion Forge continues to ramp up its 2019 line of creator-owned comic book series with concepts every bit as original and unique as the creators behind them. Today, in conjunction with the Lion Forge panel at C2E2 in Chicago, the company unveils Army of One, an all-new series launching in October! 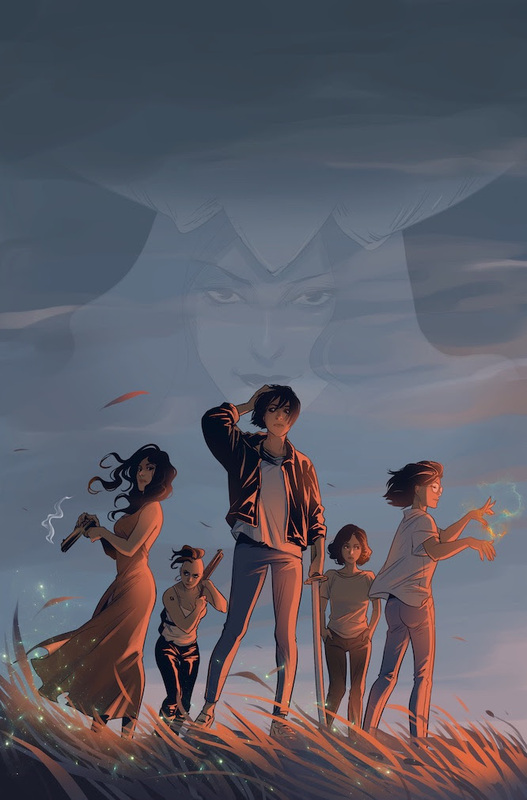 Created by New York Times Bestselling Writer Tony Lee (Doctor Who, Star Trek, Pride & Prejudice & Zombies, Spider-Man) and Yishan Li (Hellboy and the B.P.R.D 1956, Sugar, Buffy: The High School Years, and Blue Beetle),and colored by Bryan Valenza, Army Of One is a story of friendship, sisterhood in a fight against unsurmountable odds, with a few twists and turns along the way. But is Carrie one of these shattered shards - or is she something new? And when she learns the truth about her heritage, which side will she choose? Army of One will be solicited in the August-dated PREVIEWS catalog for release in October, offered to retailers in a fully returnable standard comic format, priced at $3.99. Further details to be revealed in the coming months!